Croatia Airlines offers both domestic services within Croatia and international flights to other European destinations. 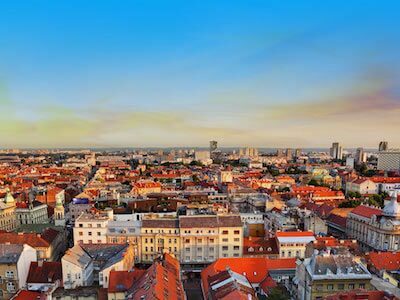 The state-owned airline has its headquarters in Zagreb and its primary operating base at Franjo Tudman Airport. Croatia Airlines is the country's flag carrier airline and was founded in 1989, at which time it was called Zagal – Zagreb Airlines. Its fleet is made up of 13 Airbus, Bombardier and Fokker airplanes. Popular Croatia Airlines destinations from among the 27 locations it flies to include Dubrovnik and Split, both of which are focus cities for the airline. Other destinations include Copenhagen Airport, Amsterdam Schiphol Airport, Vienna International Airport and Paris Charles de Gaulle Airport. In 2004, the company joined the Star Alliance. A total of 14 different airlines have codeshare arrangements with it. These are United Airlines, Turkish Airlines, KLM, Brussels Airlines, Singapore Airlines, Austrian Airlines, Air Canada, Alitalia, Swiss International Air Lines, Tap Portugal, Air France, LOT Polish Airlines, Lufthansa and Scandinavian Airlines. Passengers who have an e-ticket can check in online for Croatia Airlines flights. The earliest they can do this is 36 hours before their flight leaves and the latest is 1 hour prior. The company's online check-in also allows passengers to select a seat for their flight, which saves them often-valuable time at the airport. Passengers are also able to check in at the terminal desk. Airport check-in counters close 45 minutes before a flight leaves, however, the company recommends that passengers checking in at the airport do so an hour and a half before domestic flight and 2 hours before international flights. Croatia Airlines hand baggage allowance depends on a passenger's ticket type. Those traveling in Economy have an allowance of 1 item of hand luggage. This must not exceed 55 x 40 x 20 cm and must weigh less than 9 kg. Passengers in Business class are allowed 2 items of hand luggage, each of which may weigh up to 8 kg and must be no larger than 55 x 40 x 20 cm. On some Croatia Airlines flights, Business class passengers may only be allowed one item due to the type of aircraft. As well as the main hand luggage allowance, passengers can also bring a personal item of up to 40 x 30 x 10 cm on board. Economy passengers may bring 1 item of checked baggage on their Croatia Airlines flight. This can weigh up to 23 kg and should have a combined width, height and length no greater than 158 cm. Business class passengers are allowed to bring 2 pieces of checked luggage. Each of these pieces can weigh as much as 32 kg but are subject to the same size limit as Economy passengers. Children younger than 2 who will be traveling on an adult's lap are entitled to 1 item that must weighs less than 23 kg, in addition to a stroller or car seat. If passengers' luggage exceeds their allowance in either weight or dimension, excess baggage charges will apply. Croatia Airlines' safety regulations prohibit it from accepting any item of luggage that weighs over 32 kg. Everything was all right, only thing which was anoing was circling with plane in the waiting zone before landing on Heathrow which lasts about 25min. That can be a problem if you have connecting flight or bus or train booked in advance.